About me | Dream well. Live well. Be well. 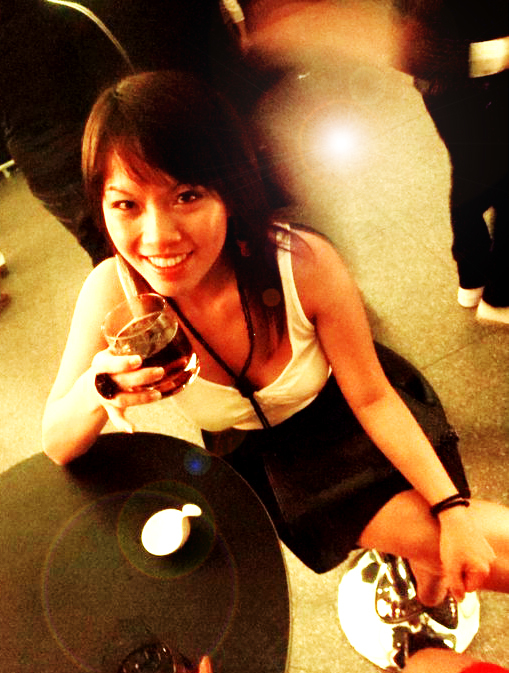 My name is Esther and I am a Singaporean who is currently residing in Montreal. I have always been stubborn in following my dreams, my passion and doing what I feel is right. Someone shared these words of wisdom before, ‘You should be happy to be a human. If you are in hell, you suffer the torture without a choice; if you are in heaven, you cannot experience happiness because there is no saddness. Hence as a human, you get to make choices in life and live everyday with a different experience.’ I could not agree more. The first phase of my life was rough as my heart and mind could not align with the system I was in. I hated school, failing 7 out of 9 subjects at one point in time. Instead, I pursued the sports i.e badminton and dragon boating which I love and explored adventures like leading a team to Cambodia to build houses and teaching English language to an orphanage there. Fortunately, count my blessings, I made it through a good university and graduated with a Bachelor in Science (Economics). The second phase of my life conformed to the wants of the society. All I had in mind was to craft out a good career path, make lots of money and start accumulating assets at one point in time. What was working 12 hours a day? Sleeping 5 to 6 hours a day was a norm. Work hard, play hard and I would be happy. The human engine started to fail. Too many late nights took a toil on the body. The dark rings under my eyes decided to take on a Permanent Residency status and they were so significant that I would not leave the house without having my concealer on. I knew I was not happy. That was not the life I wanted in the long term. I needed to pull the hand brake and make a drastic change for things to be different. Upon hearing my request, the universe sent a special someone into my life when I least expected it. His presence made me realise that I have stopped hearing and following my heart. I went with the notion that the mind is strong and I could fulfil whatever things in life whether I liked it or not. I am now moving into another phase in life where I am starting my life all over again. ‘Clt + Alt + Del’. I made a big decision to relocate to be with that special someone who has been giving me unconditional love and support. While adapting to a new country, I am allowing what truly matters to settle within me and from there, live a life of eternal dreams and happiness. I will share more personal stories going forward and if you need some inspirations in life, feel free to follow my blog.